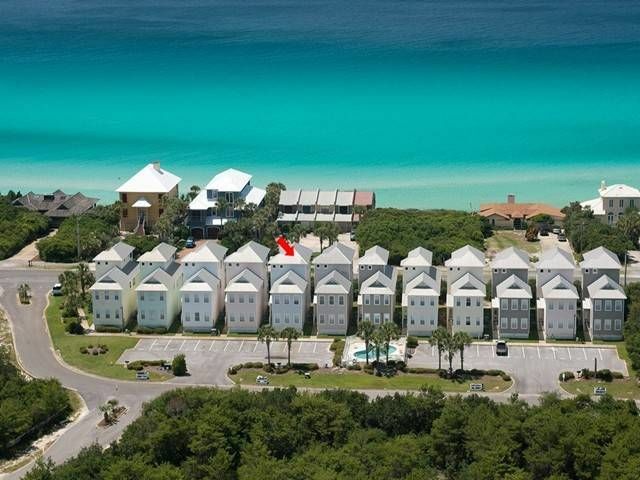 Lovely House in Seacrest ~ Steps Away from the Emerald Coast! This beautifully decorated three-story 4-bedroom cottage is located in the residential community of Seacrest Beach. It has sweeping Gulf of Mexico views from the second and third floors and is perfect for a family vacation or a group of friends getting together. With two master suites each with a private porch and whirlpool tub, it's a great house to share. The large great room, dining room, porch and kitchen area, as well as a queen bedroom are located on the second floor. Relax by the outdoor community pool or take a short stroll to the beach via the private access. Make Float Away your next vacation destination! * Saturday to Saturday rental in Summer season.